James Neiss/staff photographerNiagara Falls, NY - Docked in the U.S., Capt. 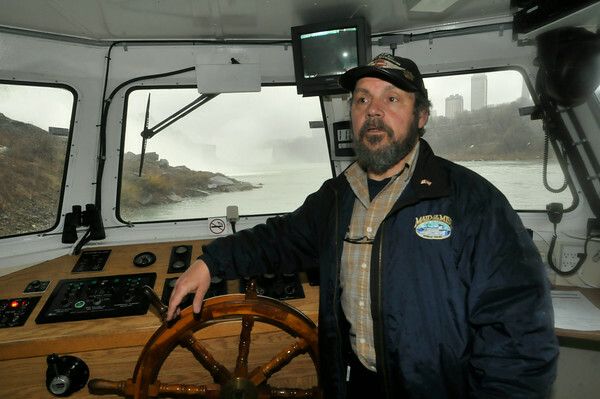 Malcolm bunting was at the helm Tuesday on a trial run of Maid of the Mist VII, part of the famous fleet that begins it’s season today in the lower Niagara River. The tours operate seven days a week, from 10 a.m. to 5 p.m. daily from 10 a.m. to 6 p.m. on weekends. The boats depart every 30 minutes from the U.S. and Canadian landings.